Each year, young people full of big hopes and dreams leave high school to enter university and get one step closer to their goals. And while this transition is very exciting, it can be terrifying at the same time. Many students flourish in their newfound independence and meet their obligations successfully without a sign of stress. Some, on the other hand, struggle with their new life and find it hard to embrace new friendships, classes, chores and schedules. This can become an actual health issue, especially when they are not communicating their concerns with their friends, colleagues, parents or teachers. It is crucial for students to be prepared for the turmoil this transition can cause so that they could go through it much easier. This is something they cannot do alone. They need help from their parents, peers and guidance counselors. Human beings are not chameleons; they cannot simply see a new environment for the first time and instantly adapt to it. They need guidance to go through this sensitive transition. Surviving this change depends on how well the student is prepared for all the things that will be different from high school, ranging from harder academic work to more electives to choose from. In university, students are considered to be adults who are capable of managing their own time, and therefore they are given more freedom. However, with the given freedom come more responsibilities, and not only when it comes to studying, but also cleaning, laundry, food, etc. Knowing all that in advance is a useful tool for coping with changes. There is nothing strange in students feeling stressed out and overwhelmed with the novelties when they leave school and head to college. However, bad things happen when they don’t share their concerns with people they care about, counselors or psychologists. By keeping their worries for themselves, these young people are putting their health at risk. Of course, there is no need to shout about your problems to the entire world, but seeking advice or just talking to a trustworthy friend is often the one thing that keeps burnout at bay. From the very day high school ends, failure is lurking around every corner, making the future college student anxious. It begins with demanding college admissions programs, and goes all the way to mastering the new materials. For example, young people who get into prestigious Ivy League colleges as excellent straight-A high school students can be later faced with the fact that they have a fierce competition and more difficult materials than they ever dreamed it was possible. At that point, they might be terrified of getting a B or asking the “wrong” question in class. It is essential to understand that the best you can do is trying your best, and that you only fail if you stop trying. There is no need to do everything on your own. From the very beginning, students can turn to organizations that offer Ivy League admissions support, as admissions programs for colleges like Harvard, Princeton and Columbia are extremely difficult. These organizations offer guidance, advice and coaching. And when the classes begin, there is no shame in asking for help from friends, older students and counselors. This makes all the difference in the world of a young person who feels lost in a new and scary environment. When taking on college classes, many students burden themselves with subjects that are believed to have a positive impact on their resume. However, when the moment for taking the exams finally arrives, they realize just how difficult it is to study something they couldn’t care less about. While it is important to have some resume-boosting subjects, it is also important to take on classes and extracurricular activities that they like, so that they save themselves from future stress. 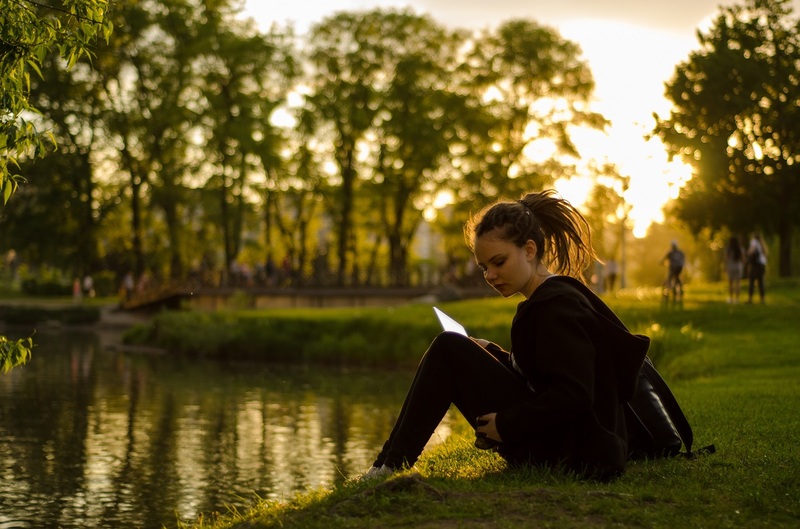 In college, so much is going on all the time, and while it is important to study and attend classes and social events, it is also crucial to know when to step back from everything and take some time for yourself. Find an activity that relaxes you and minimizes the day-to-day stress you are exposed to. That can be anything ranging from staying in your room and reading a good book to catching up with your high school friends. Some college students find that yoga helps them meet challenges and carry the high expectations of the whole new world they are dragged into. Academic success is important, but preserving mental health is more important. The transition from high school to university puts many new challenges in front of young people who are just done with being children, and they might find it hard to face these challenges without burning out. This set of advice should make the obstacles on the road easier to handle and the transition from one lifestyle to another much smoother.